We have a fresh and enthusiastic approach, delivered by a highly experienced team. A financially secure organisation with an exemplary safety record. Dedicated project teams working with our proven and committed supply chain. Certified with ISO 9001, ISO 14001 and OHSAS 18001 and affiliated with the Association of Interior Specialists. A process that allows value engineering ideas. Feel assured, we stay true to our word. Everything comes down to quality. The corner stone of our business; it is how you will remember us. Our people, processes and procedures enable us to deliver unrivalled standards of quality. 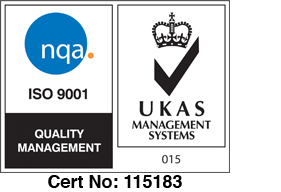 A managed and controlled approach to quality; we’re ISO 9001 certified by a UKAS accredited organisation. Expect the best, nothing less. We have an in depth environmental management system in place. All standard operating procedures are reviewed on a quarterly basis. We recognise and understand the importance of protecting the environment. We promote best practice and are committed to continually improving our environmental performance of all related activities, products and services in line with ISO 14001 requirements. 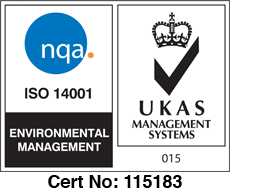 Environmental management; we are ISO 14001 certified by a UKAS accredited organisation. We’re committed to continual improvement in health & safety. We recognise our care of duty to our clients, employees and members of the public. We ensure that all of our employees and sub-contractors support and adhere to our policies. We’re ISO 18001 certified by a UKAS accredited organisation.